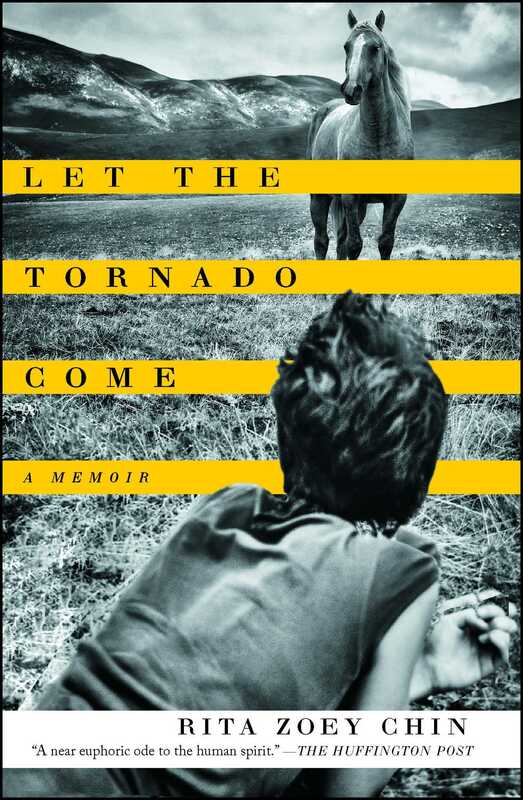 Hailed as a “clear-eyed book written with poetry and compassion” by The Boston Globe, Let the Tornado Come is the “lyrical debut memoir” (Kirkus Reviews) of a runaway child, the woman she became, and the horse that set her free. When Rita Zoey Chin was eleven years old, she began running away from home. Her parents’ violence and neglect drove her onto the streets in search of a better life, but what she found instead was a dangerous world of drugs and predatory men—as well as the occasional kindness of strangers. As she hits bottom and then learns to forge a new life for herself, all of her dreams of freedom and beauty pivot on a single, precious memory: a herd of horses running along a roadside fence. A few years later, Rita—now a prizewinning poet and wife of a successful neurosurgeon—appears to have triumphed over her harrowing childhood, until she is struck with a series of debilitating panic attacks that threaten her comfortable new life. Ultimately, it is the memory of those hoofbeats, and the chance arrival of a spirited, endearing horse named Claret who has a difficult history himself, that will finally save her. “A near euphoric ode to the human spirit” (Huffington Post), Let the Tornado Come is about pulling yourself up out of the dark and discovering that the greatest escape lies not in running from, but turning towards, those things that frighten you the most; it is “luminous…A haunting yet hopeful saga that shows how trauma and fear can transform themselves into enduring strength” (Publishers Weekly). In the dark, especially in the dark, against the pillow, I hear them. I hear them in the quiet and in the ruckus. I hear them when I am three and just beginning to remember, when I am eight and my mother lies on her back and stares at the ceiling and will not look at me. I hear them in steel and dirt and sidewalks, in distances and conversations. I hear them when the sky is the color of oil. I hear them in the blank sun and in the rushing of bathwater. When I run, I hear them loudest. On the day of my birth, I’m sure they were there—thunderous, rhythmic, coming and coming: hoofbeats. Icicles drip from the windows encircling the dressage arena, and as they melt, they grow longer. They are dazzling, glistening in the sun, but right now each one is a threat. The light would be dazzling, too—the brazen shaft of sun angling into the arena, catching the dust as if it were fog—but as we pass the sunray, Claret curves his body away from it. His horse brain is naturally wired to flee from any perceived danger, but for this horse, who has had real reasons to be afraid, anything unexpected is dangerous. He has no way of understanding why this shaft of light has suddenly appeared—why the sun’s journey on the ecliptic has just aligned itself with this particular window—but I know he trusts me, so I speak to him with the insides of my calves and keep our rhythm, steady, forward, one-two, one-two, one-two. I keep circling back to the light, each time getting closer. “You’re okay,” I tell him, leaning forward to pat his neck. I want him to feel my determination, solid as a ball of silver. And I want him to feel that my confidence is, in part, born of him, of his strength, of the many days he carried me through my own fears, those days when I wasn’t sure if he’d throw me off his back, those days when he had every reason to but didn’t. Eventually, we ride right through the light, our little triumph. And then, as if by conquering it, we have forced it to surrender, and like the melting ice, it disappears. We are alone. The only sounds in the arena are our sounds: Claret’s feet hitting the ground, his breathing, my breathing, the slip of my breeches against the saddle. Outside the arena are the discordant sounds of the rest of the world: trucks rumbling by on the main road, water dripping, the barn workers speaking loudly as they drive the tractor around. I slip my outside leg back and ask Claret to canter. He steps up into the stride, and I ride the swing of him, powerful and deep. These are the moments when I feel free. Claret and I are in constant conversation. With each gentle tap or shift of pressure, he knows what I’m asking of him. Usually he answers yes, and occasionally he answers no, but most of the time I go with him, and he goes with me. It is a kind of dance, and while we’re not always graceful, we have moments when we move together as one. I have come to know Claret’s body better than I’ve known most bodies. I know when his back is supple or his hind legs are stiff, when he has energy or when he wants to stand still and gaze ahead dreamily. And I know when he’s distracted, when he has an itch, and—sometimes before he does—when he’s about to trip. I know that today he is more easily spooked than other days. I feel it under his skin, a frequency, like lightning close by. But I don’t focus on his fear because it’s amorphous and contagious, and because I’ve learned that while every flash of lightning doesn’t mean a storm, I’m ready for it when it does. So for now, I focus on the three beats of the canter, on this cool air rushing over us as we go faster down the long side of the arena. Claret stops then, and I pat his neck. We have survived the icicle. I tell him he’s a good boy, and he exhales a long breath. Then I ask him to canter again. I’m not going to worry about all the other melting icicles ready to come down. This is the only moment we’ve got, and everything about what we’re doing demands one thing from both of us: trust. When we pass the window where the icicle fell, I can feel the pause in Claret’s body, his impulse to pull away, but with my body I assure him it’s safe. I can’t promise him it won’t happen again, only that when it does, we’ll get through it. And he listens. And we are safe. When we finish, I drape myself over his long neck and breathe into his mane, as his body softens against me. There is no single way to tell a story. For me, Claret’s story begins many times; both of us hold many stories, and sometimes it’s hard to imagine there ever having been a time when Claret wasn’t part of mine. We’ve saved each other in countless ways since he entered my life, even when it didn’t feel like anyone was being saved at all. Sometimes parts of our story feel so immediate when I think of them that they trump the present moment. The story of my childhood is the same: those years of loss and wandering keep happening, as if they’re rewriting themselves on the inside of my body, zapping me afresh some days while I’m busy living my new life. They say memory is like that, that to the brain there is little to distinguish a memory from the actual event. So as resounding and complete as any present moment is, one side of it is always touching, even in the gentlest of ways, the past, where there is always a story inside the story, waiting to be told. This reading group guide for Let the Tornado Come includes an introduction, discussion questions, ideas for enhancing your book club, and a Q&A with author Rita Zoey Chin. The suggested questions are intended to help your reading group find new and interesting angles and topics for your discussion. We hope that these ideas will enrich your conversation and increase your enjoyment of the book. When Rita Zoey Chin starts having panic attacks after moving with her husband to a bucolic Massachusetts town, she wonders: why now? After an abusive childhood and life as a teenage runaway, she has finally found stability and the love of a faithful and kind man. But the trauma of Rita’s past—a past that her husband, Larry, does not want to hear about—refuses to lie dormant. And at a time when it seems her life couldn’t be more peaceful, she is besieged by sudden terror: a racing pulse, shortness of breath, tunnel vision, and fear that her heart will explode. As her panic attacks increase in severity and frequency, Rita tries everything from cognitive behavioral therapy to cooking and pottery classes to an Oprah-approved healer to various psychiatrists and therapists. But it is not until she meets a horse named Claret—damaged and skittish in his own way—that she can finally heal. Let the Tornado Come is a triumphant story about love, about the transformative bond between a girl and her horse, about a woman who pulls herself up out of the dark and discovers that the greatest freedom lies not in running from, but turning toward, those things that frighten her the most. 1. Do you know anyone who has, or have you yourself, experienced panic attacks? Do you have any insight on how to deal with them? 2. Rita is a poet. How did you respond to her language? What effect did her being a poet have on the memoir? 3. One New Year’s Eve, as Rita stands with Claret and imagines people sledding at night, she thinks, “As long as we are alive, there is always the chance to begin again.” (p. 41) What new beginnings have you had in life? 4. How did the structure of the book, going back and forth in time between Rita’s youth and her present day, affect your experience of her story? Could she have told her story in a different way? 5. When Rita first encounters a horse as a child with her friend Jennifer, she says, “It registered someplace deep in me—that place where you know things before you know them.” (p. 70) Did anything ever register so deeply with you? What is it about horses that people connect with in a primal and emotional way? 6. When Rita tells her friend Annie about her panic attacks Annie says, “Get two prescriptions—one for Prozac and one for Xanax—and pull yourself together.” (p. 89) How might Rita’s journey have been different had she chosen to use medication? 7. Rita describes the challenges of trying to learn to ride a horse when she’s in her thirties, while most people learn to ride as children. Have you ever learned something new at an unconventional age? 8. What did you think of Rita’s mission to find a mother and the women she encountered in her quest? 9. Rita speaks a number of times of having hope, even during terrible situations. Do you think having hope is something inborn? How do you maintain strength and hope in the face of challenges? 10. When first learning to canter, Rita says, “My relationship with panic . . . enabled me to fully submerge myself in the freedom and joy of riding: it was only by holding on so tightly that I could begin learning how to let go.” (p. 150) Discuss this seeming contradiction. Have you experienced anything like this? 11. Rita and Larry have a tacit agreement not to discuss her time as a runaway—a major part of her life and identity. Do you have anything you do not discuss with a spouse, friend, partner, or family member? Would you like to? How could you broach the topic? 12. When Rita realizes she is not weakhearted, she says, “Sometimes when we change what we believe, we change who we are.” (p. 220) What is an example of this from your own life? 13. Rita eventually comes to the conclusion that she must let her mother and father go. Have you ever had to let a person or relationship go even if you wished you could change it for the better? 14. Rita returns to Montrose detention center twenty years after she was there as a runaway. Have you ever returned to a place from your childhood to find it drastically changed? 15. Have you ever had a relationship with an animal like Rita had with Claret: healing, strength-giving, and reciprocal? 1. Go as a group to a pottery class as Rita did. 2. Cook the meal Rita made with Helen: roasted cashews with rosemary, banana cream pie, halibut, baby squash, jasmine coconut rice, banana cream pie. (p. 119) See links to recipes below. http://www.epicurious.com/recipes/food/views/Banana-Cream-Pie-107728 3. Write a one-page episode that you might include in a memoir. 1. How was your experience of writing a memoir different from writing poetry or other forms of writing you’d done in the past? Writing a memoir was actually very similar to writing poetry or fiction, in the ways I think about language, imagery, narrative drive, and truth. What I mean by truth is different from accuracy—though accuracy is, of course, very important. But what I mean is that I’m always trying to get to the truest essence of any given moment or idea, whether it exists in the real world or in the world of my imagination. And sometimes that truth isn’t what it first appears to be. There were also some significant differences between writing a memoir and the other forms of writing I’ve done. I found it to be an interesting challenge at times, as I mined my own history in service of telling these particular stories, to choose which moments to keep in the book and which to delete. To do this, I had to maintain enough of an objective distance to see these moments from other angles, to locate their deepest truths and to weigh them not in terms of their importance to my life, but instead to the larger story I wanted to tell. For example, I tried many things in my quest to stop panicking, only some of which appear in this book. If I had put them all in, I think I would have fatigued the reader, so I chose the ones that felt most relevant to my larger journey through panic. Similarly, as to the scenes from my days as a runaway/ward of the court, there are many that don’t appear in this book. Again, I wanted to be true to the larger narrative arc of those years, while also being sensitive to the reader’s experience—while I will always look upon my running away as one of the things that ultimately saved my life, those years were also quite brutal, and I wanted to protect the reader from that brutality as much as possible. In that way, writing memoir is, again, no different from writing in any other genre for me, in that there is always a responsibility to the reader. 2. How are your panic attacks now? What advice would you give to someone searching for the right way to treat their own panic attacks? During my months of panic, I spent a lot of time on my front steps. It was a comfort, somehow, residing on the cusp of in and out, where I had more than one option to flee that nameless threat panic is always trying to warn us about. One day, in between panic attacks, as I sat listening to the cars passing by on the road, I wondered how many other people out there felt afraid, and if I had ever unknowingly driven past someone panicking on their front step. And I wondered if so, what would I have done if I’d known? Quickly, I knew the answer: I would have pulled over. I would have reached out my hand. I would have said, as a friend might say, “You are stronger than you know.” Of course, it would take me a while to learn to be that friend to myself, but it was interesting to me how certain I was of the answer when I imagined the question for someone else. So that would be the first thing I would say to someone wanting to treat their own panic attacks: you are stronger than you know, and you are not alone. I learned so much from my panic attacks that I came to see them, ultimately, as an opportunity instead of a curse (though for a while they felt very much like a curse). So much in life is about context, and as I began approaching panic and anxiety with curiosity (why, now, am I panicking, and what can I learn from this? )—I found answers I never expected. But I had to be patient. And I had to be willing to be uncomfortable (as opposed to going for a quicker fix, such as medication) while I figured things out. Though this approach wasn’t always easy and was, at times, downright demoralizing, it ultimately formed part of the bridge that moved me through my fears. As I asked these questions of my panic, some of the answers pointed to childhood, and some of the answers pointed to what was happening in my present life: a recent move that left me isolated, a marriage in which I felt I had to keep certain parts of myself hidden, and, ironically, the fact that I had, in this new and beautiful place I was now living, finally let my guard down. I had thought that my past had no hold over me anymore, that I had risen from it clean as a lotus reaching for the sun, but my panic attacks suggested otherwise and eventually came to serve as an invitation to go back and not only process some of the trauma I’d endured as a child but also to draw upon my younger self—a searcher who was loyal to hope, who was tenacious and resilient and open-hearted when it came to finding happiness in this world—for strength. And as I went about trying to tend to all the things that seemed to need attention in both my past and my present life—whether through clay classes or cooking classes, through cognitive behavioral therapy or talk therapy or EMDR therapy, through energy rebalancing or acupuncture or massages with healing stones, through calling upon strangers or calling upon friends, through reading writers I admired and attempting to write a line or two in my own notebook, through ultimately pulling into a roadside barn that would open my world to horses—I found that the answers didn’t lie solely in any one thing, but more in the search itself—that motion that declares, I’m on a mission here! So to anyone struggling with panic, I’d also say this: don’t be discouraged if something you try doesn’t work. Instead, keep going. Ask yourself what you need, then trust yourself with the answers; trust that there is something here for you to learn on this road and that when you come through to the other side—and you will come through to the other side—you’ll be stronger and wiser for it. Finally, and perhaps most importantly, I would say this to any panicky soul who’s willing to listen: have compassion for yourself. We panicky types are some of the most sensitive, empathic people out there, and your fear is nothing to be ashamed of. It’s just a part of you that’s asking to be made safe, and it’s asking you to do it. And you can. As for me, I’m grateful to be mostly free of panic attacks, with the exception of one trigger: driving on certain highways still makes my heart pound. I’ve come to accept that this is a residue of my panic and that some highways, namely those really enormous ones, or the ones that lack a shoulder, might always be a challenge for me. But I’m okay with that. It’s a small price to pay for the peace and joy I feel most other times. And when I do have to take one of those highways, I resort to my tried-and-true method of singing along with the music very loudly (and usually, quite embarrassingly, off-key), until I have no choice but to laugh at myself. 3. How did you decide how to structure the book—going back and forth between scenes from your youth and your present day? Maybe it’s just because I love to canter on my horse, but I’ve often thought the structure of this book moves similarly to the canter’s three-beat gait in its swing-like rhythm, this rocking back and forth. But horse gaits aside, the structure of this book feels, to me, truest to life. Sometimes I’m riding down the road when a song comes on and then I’m on a different road, twenty years earlier. I think that happens to most people—those memories that spring to life again and again—which is why Faulkner’s quote about the past not being dead, or “even past,” is so popular. Some of the major themes in Let the Tornado Come deal with the role the past plays in the present, and one place this theme is visited is in my relationship with Larry and my conflict between having this story that keeps sprouting up—this story that lives in me and is, in many ways, fundamental to who I am—and a marriage that wants to erase this story. So it seemed right, to let my earlier story tell itself throughout the book, to let it be intertwined with the narrative of my present life—to finally open the door to that runaway girl and let her have a voice. 4. What is it about horses that people connect with in a primal and emotional way and find to be healing? I think that’s an interesting question, in part because one of the things I connect to with horses is a kind of mysteriousness, that which cannot be easily explained, a feeling that travels through the corridors of the spirit, like light. (Notice how I still try to explain it anyway! Ha!) But truly, those moments when I am alone with my horse, looking up into his eyes, are the moments when there is no past, no future; there is only now. And I think that’s a very healing thing, to be liberated, in our overstimulated and overstressed lives, from everything but the present moment—even if just briefly. Of course, horses are often symbols of freedom, and who doesn’t have that innate desire to be free? To watch a horse galloping across an expanse of land, its mane and tail flying, is arguably one of the most arrestingly beautiful, graceful, and powerful things we can behold, and I think it serves as reminder of what we can all be if we let ourselves. But there are other things that resonate between horses and humans. As prey animals, horses have a very active flight response, which is why you often hear people talking about a horse “spooking.” Humans are wired to have this same response, albeit less frequently—unless, of course, you’re having panic attacks. This was a bond I never expected to have with horses, and helping Claret through his fear helped me through my own. Our communication formed a transformative feedback loop: every time I patted Claret’s neck and calmed him through a scary situation, I was also calming a part of myself; every time I was strong for him, that strength took root inside me, as did my empathy for him, and my love. It’s always amazing to me that horses let us get on their backs at all. Such generous animals, horses carry us, and that feeling alone is incredibly healing. 5. You write of moments of hope during terrible circumstances. How did you manage to maintain hope during such challenging times? Do you think that having hope is something inborn? It must be inborn, because it’s just something I’ve always naturally done, even in what seemed like the most hopeless circumstances. Finding hope—little glimmers in even the darkest days—has been an incredible blessing throughout my life, and has no doubt saved me countless times. But it’s difficult for me to talk about hope without also talking about gratitude because they strike me as kin to each other. When I was nine and accidentally ran through a plate-glass door, I learned a life-changing lesson about gratitude: earlier that day I’d been grumpily lamenting a painful paper cut on my finger, and that evening, as I lay on a hospital gurney with four deep lacerations in my body, I remember looking at my finger and thinking, I wish all I had was this paper cut. That was a huge moment for me because I saw how things could always be worse. “You’re lucky the glass didn’t cut your eyes,” they told me, “or your throat,” and just as I thought the paper cut was bad, only to see that it was nothing compared to the injuries I sustained from the glass, I also knew that those injuries were nothing compared to those I could have sustained. So during even the most terrible times, I found a way to be grateful for what I still had left, and from that place of gratitude, I was able to rally enough strength to keep hoping for something better. It seemed that as long as I could wake to a new day, anything was possible. So I lived for possibility, and in that way, hope became the engine that propelled me forward. 6. At one point you went on a quest for a new mother, seeking out a number of women you admired, but eventually came to the realization that you didn’t need a mother. What was that revelation like? How did it feel to come to that realization? This revelation was one of the most liberating revelations of my life. I had spent so many years coveting mothers—my friends’ mothers, TV mothers, catalogue mothers, women who played Spades with me or snuck me sips of their sodas when nobody was looking during those long days I was institutionalized, and total strangers—and I coveted them gluttonously. I would ask my friends all manner of detailed questions about their mothers and about how it felt to have that singular kind of love, but I think it’s hard to answer questions about things you’ve always known, such as what it’s like to breathe or to have sight, for instance. So I paraded my fantasy mom around in my imagination, playing out all the ways my life would have been better for having her. And then what I always came back to was my actual life, the one in which I was, for all intents and purposes, motherless. So I spent a lot of energy—and hope, which in this case didn’t necessarily serve me very well—on an exercise of futility. I don’t know why I thought some woman in the produce aisle would adopt me, but there I was, searching for her. This search was put into high gear, of course, during the months I was having panic attacks, when I often felt like a helpless child. How interesting it was, then, to find that the therapist I’d most hoped would be like a mother was the one who, in treating me as if I were helpless, made me realize that my own self-perceived helplessness was merely an illusion, and I had no use for it anymore. I was holding onto a child’s wish in my wish for a mother, and it was time to let it go. Whatever I’d wanted from a mother, I would do my best to give to myself. Realizing this was a huge relief, and it was also another empowering step on my journey through panic. 7. You say that your relationship with panic enabled you to fully submerge yourself in the freedom and joy of riding, that only by holding on so tightly you could begin to learn to let go. Can you talk more about this seeming contradiction? At the heart of panic is the desire to stay safe, from everything. But the problem is that no true guarantee of safety exists in life. There is, however, a guarantee that we will suffer and we will die. Once I understood this fully—once I accepted that even if I never left my couch again, I still wouldn’t be safe, I would still age, my body would still deteriorate as bodies do—I knew that letting fear stop me from living my life was already a kind of death. So I began to release my white-knuckled grip on everything just enough to start making each minute count as much as possible. And that brings me back to what I was talking about earlier: that feeling with horses of being fully engaged in the Now. I think many people go through life quietly afraid of things, avoiding things that maybe secretly they desire, passions that will never see the light of day, and sometimes this avoidance is so quiet, so beneath the radar, that people never have to grapple with it. But because of the extreme nature of panic, I was forced to look at everything I was afraid of, and in doing so—in realizing that the fear itself was more damaging than any other thing—I was able to slowly let those fears go. I think this idea is similar to the idea of progressive muscle relaxation, which funnily enough, didn’t work for me when I was panicking. But the idea is that by holding on as tightly as you can, there comes a point where there is no choice but to let go. This isn’t to say that I don’t still get afraid. I do, all the time, most often when I’m riding. But that’s part of the beauty of riding: it’s this lesson about fear happening in motion. Claret will spook, for instance, at a door (there are many doors around our arena), and then my instinct will be to avoid the door. But if I avoid the door, I’m only confirming Claret’s fear, and taking it on as my own. So instead, I ask Claret to go back to the door, and I think how good the air feels moving over us, and I think that we are strong, that the door is just a door, and then we’re moving past it, into the next present moment, and the next. 8. Do you still think of yourself as a runaway? Is it an intrinsic part of your character, a primary thing that defines you? Occasionally, on a particular kind of summer night, when the air is slow and fragrant, when the stillness feels like a curtain at the edge of excitement, I find myself almost reflexively gearing up to run. And then I think, Oh, wait, I’m already here. But I think I will always be a runaway at heart. 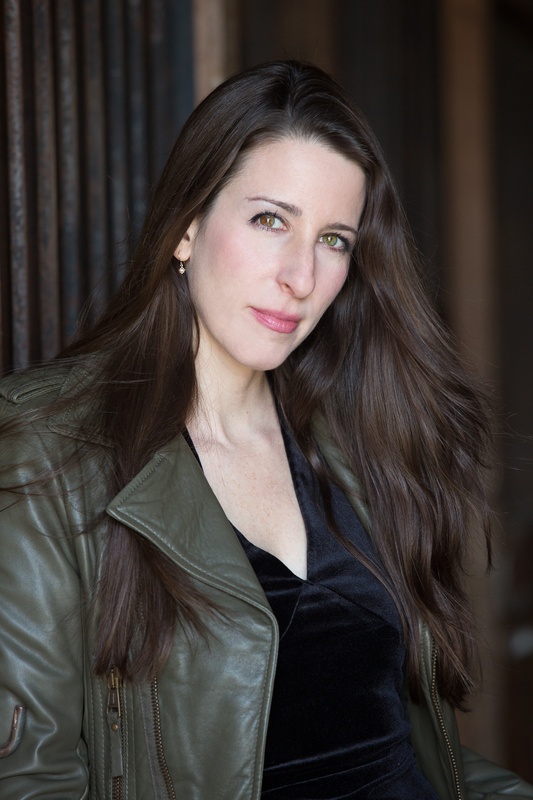 That doesn’t mean that I’m skittish or that I don’t commit fully to things; in fact, I value my commitments—to the people and animals I love, to my writing, to my students, to truth and balance and justice—perhaps more than any other thing. But the first time I ran away, even though the police brought me back three hours later, I learned something powerful and rare: I had the ability to change the seemingly unchangeable, simply by leaving. This knowledge played a significant role during my journey through panic; when something didn’t work, I just moved onto the next thing, still believing in possibility, still driven by imagination, still full of hope—the same hope that comforted and inspired me, and gave me courage, as a child. 9. When you were young there were a lot of transient people in your life, not only your parents, but friends and people who were kind to you or helped for a period of time. How did you deal with the impermanence of those relationships? Did you ever reconnect with or want to find any of the people from your days as a runaway? This is a sad question for me, because there are people I’ve wanted to reconnect with but have been unable find. One of these people was Miss Peggy, a woman who worked in one of the many institutions I was in—the adolescent unit of a state-run psychiatric hospital. For several days after I arrived, the ward was overbooked, so I had to sleep in a cot in the hallway. And on my first night there, this beautiful woman strutted in—voluptuous and surefooted and regal—and slipped a Hershey bar under my blanket. Instantly, I became her puppy, and every night I spent in that hallway, I waited for her to come in for her shift, when I’d gaze up at her with equal measures of gratitude and hunger before secretly filling my mouth with chocolate. Miss Peggy became my faithful (and undefeated) Spades partner, and my friend. She always referred to me as “Elizabeth Taylor-Face,” because of my eyes, she explained, and in return, I never took my eyes off her when she was around. And ever since then, I’ve wanted to thank her, not only for her love, but for that initial kindness, when she reached out to a strange young girl wearing too much eyeliner and sleeping in a hallway, and gave her something sweet. It’s kindnesses like this that I will treasure for the rest of my life. So, ironically, these impermanent relationships are the ones that have formed some of the most indelible memories I have. 10. At low points in your life as a runaway you talk about going into happy memories of your childhood—memories of your sister or your best friend, Dawn. Can you talk about the role of memory and its importance during dark and harsh times? I remember reading a few years ago about a brain study that found that the neurons that fire during a memory of an event are many of the same neurons that fired initially, during the original event itself; therefore, remembering can be a lot like reliving. But we don’t need scientists to tell us this because we experience it all the time, in the stories we find ourselves retelling again and again, in that old bottle of perfume we sniff when want to be immediately launched back to, say, 1989, or in those memories that sometimes seem to arise suddenly out of the ethers with shocking clarity and vitality. So it doesn’t surprise me that during my darkest moments on the run, I turned to memories of light. In those moments, when I gave myself over to the haven of my happier memories, I got to relive them; I got to be happy. 11. At one point you realize that your unspoken pact with Larry will not hold, that he must understand your past in order to know you. Were you able to have that conversation with him? Were you able to speak openly about your young life with him? How has he received this book? I can’t say we’ve spent much time speaking about my younger years, but Larry has read this book, which is probably the best way I could have told him about that time in my life. The first thing he said as he was reading it was, “Wow, this is very accurate. You’ve really captured me.” And that was probably the best thing he could have told me, because when you’re writing about real people there’s always a danger that they remember things differently from how you do. So I was relieved to know that he felt I portrayed him accurately. When Larry finished reading this book, he got choked up by what he called “the mathematical beauty of the three storylines converging into one,” and also by his observation that I had helped Claret in a way that nobody had helped me when I was panicking. I explained to him that I had helped myself, and that, really, nobody else could have done it for me. 12. Who are the writers you read most, or you most often turn to for inspiration? Oh, so many! And it changes depending on what’s going on in my life. One constant, though, is poetry. Mary Oliver is perhaps my most oft-visited oasis. Her poems always captivate my heart and my imagination, and remind me of what feels most essential. Rilke is another poet I often turn to, and Jack Gilbert’s The Great Fires has recently taken up residence at my bedside. I can’t stop reading Albert Goldbarth’s poem, “To Be Read in 500 Years” or Stephen Dobyns poem, “How to Like It”; and Anne Carson’s Autobiography of Red, a novel in verse, is one of my favorite books in the world and is usually within arms’ reach. Other writers I keep coming back to are (in no particular order or genre) Denis Johnson, Lidia Yuknavitch, Albert Camus, William Stafford, Elizabeth Bishop, William Faulkner, Katherine Dunn, and Jess Walter. I also love children’s books and am kind of obsessed at the moment with The Little Prince, which I only recently discovered and which I will probably read at least once a year for the rest of my life. And I am forever in love with George Saunders’s The Very Persistent Gappers of Frip. I’m working on two things actually: a second memoir and a novel, and I’m excited about both! I can’t say much more than that right now, except that the memoir is, in part, about love. 14. How is Claret doing? Is he still at Jane’s barn? I’m grateful to say that Claret is thriving happily. I ride him about three days a week, and he makes sure I deposit the requisite amount of carrots, jellybeans, and other snacks into his mouth each time. He loves to play in the paddocks with the other horses, and he’s still as mischievous as ever, still sweet, still a wild thing. And we’re still with Jane, who is endlessly supportive and patient, and who has earned Claret’s (and my) deepest trust and respect. Rita Zoey Chin’s writing has appeared in Tin House, Guernica,The Rumpus, Freerange Nonfiction, and elsewhere. She received her MFA from the University of Maryland and now lives in Boston, where she teaches at Grub Street, mentors teenage girls, and rides her mischievous horse. This lyrical debut memoir reveals the indelible consequences of childhood abuse.... Chin deftly creates the palimpsest of those stories, past and present, in this candid, graceful testimony to remarkable resilience. "The language in Let the Tornado Come is beautiful, and Rita's lyricism alone makes the book worth reading. That it's a memoir of perseverance, that it speaks to all of us—riders, runaways, panickers, and indeed anyone else who's discovered that we all have the power to improve our lives—makes this a must-read." Let the Tornado Come is as riveting as it sounds. In lyrical yet clear-eyed prose, with a gentleness and humility that belie a fierce inner strength, Rita Zoey Chin illuminates the debilitating consequences of childhood abuse and her search for its antidote. At once heartbreaking and heartening, compassionate and wise, Let the Tornado Come is a story about love—its unmatched enormity, its curative power, its reverberating force that, though not dissimilar to the tremors of fear in our heart, can carry us to a place where we are cherished, and in turn, learn to cherish the life in our care. At the heart of this brave,beautiful memoir is an extraordinary tale of hard-earned compassion and love.Despite all odds, some of the most broken down souls, human and animal alike,can not only heal but can take wing and soar. Rita Zoey Chin offers us herunforgettable story with richly textured, luminous prose—I fell in love withher book from the very first line.